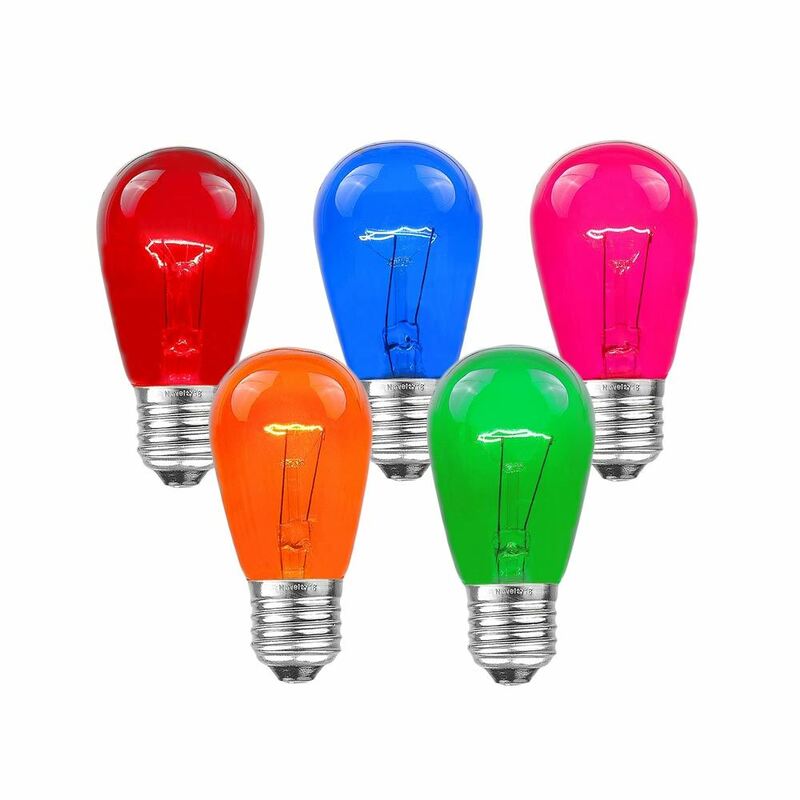 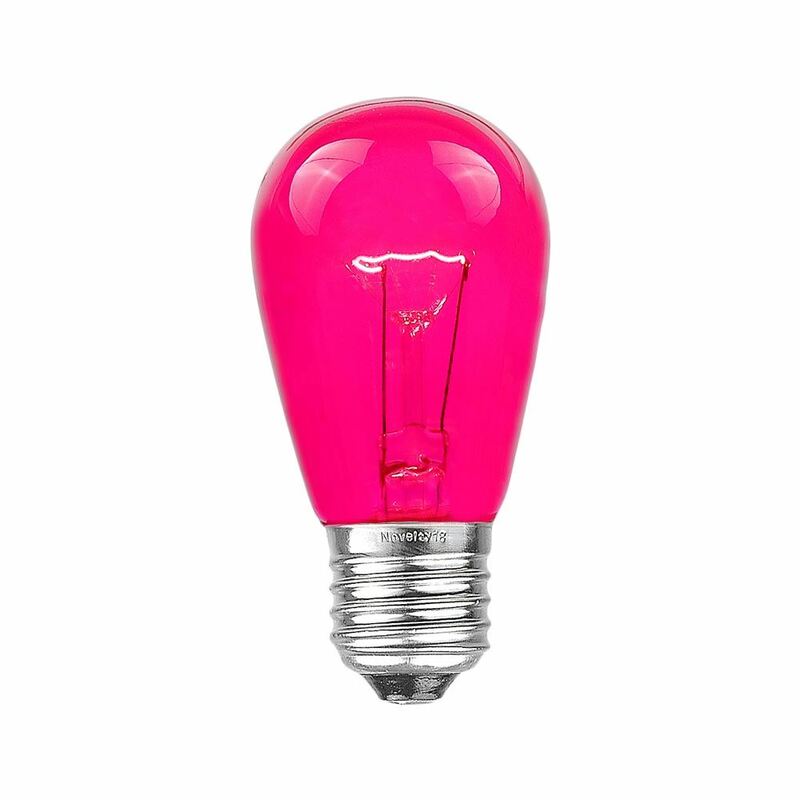 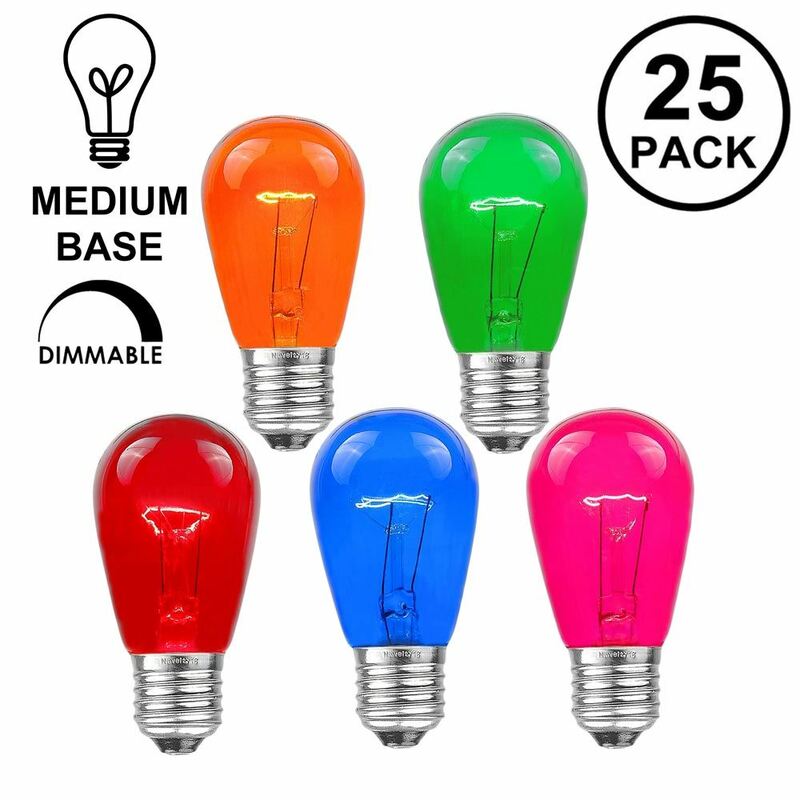 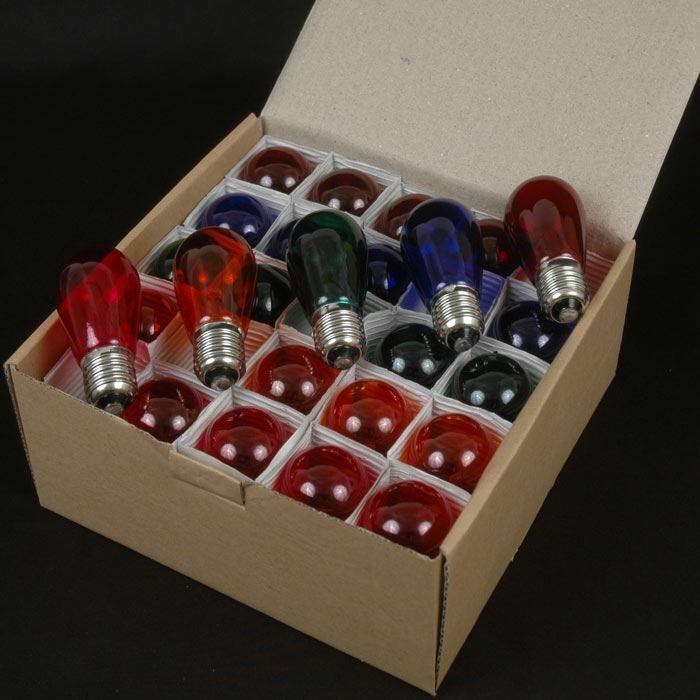 S14 Assorted Transparent Bulbs 11 Watt E27 Base - Novelty Lights, Inc.
Transparent assorted S14 11 watt bulbs for use with our heavy duty lights strings or any other medium base (E26) light socket. 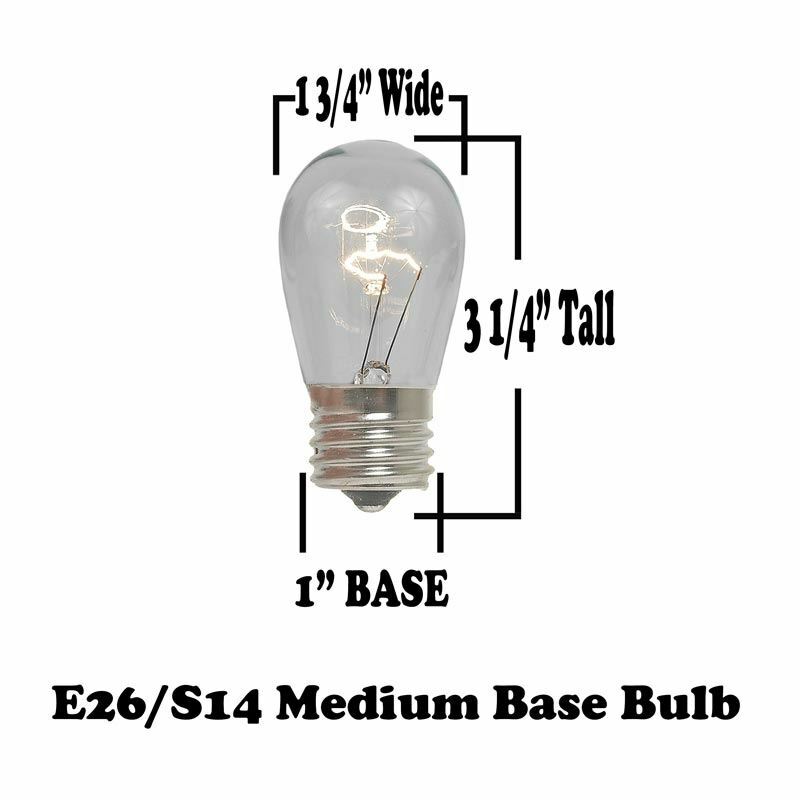 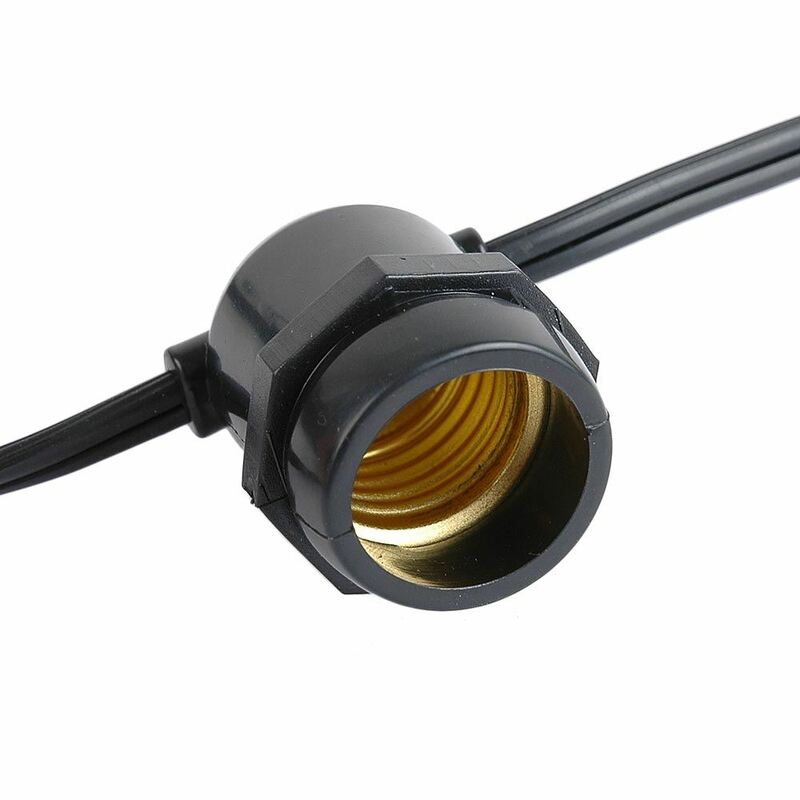 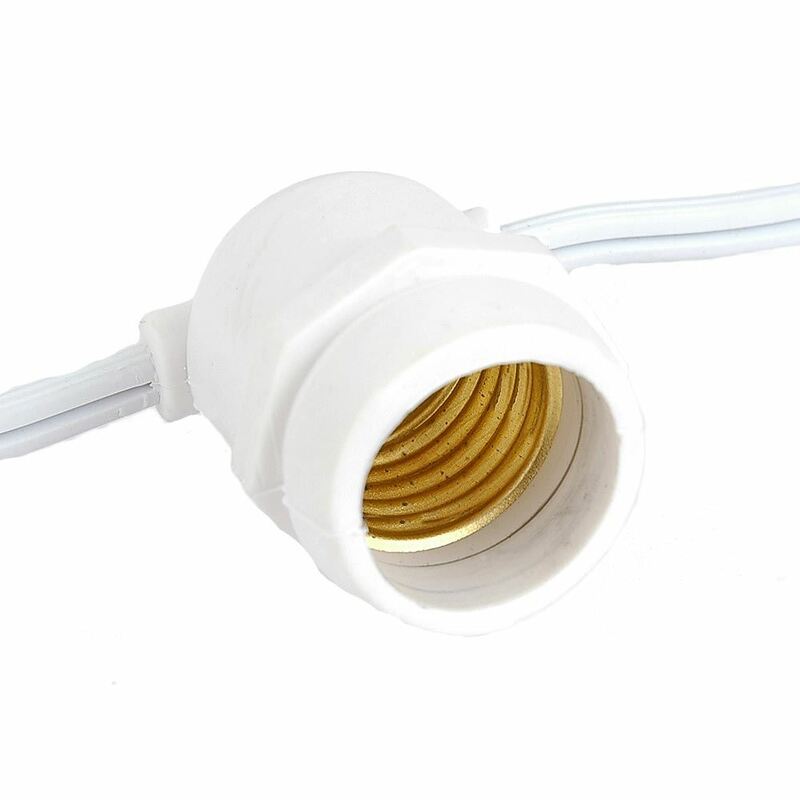 These bulbs are 130 volt and measure 3 1/2" tall and 1 3/4" wide. 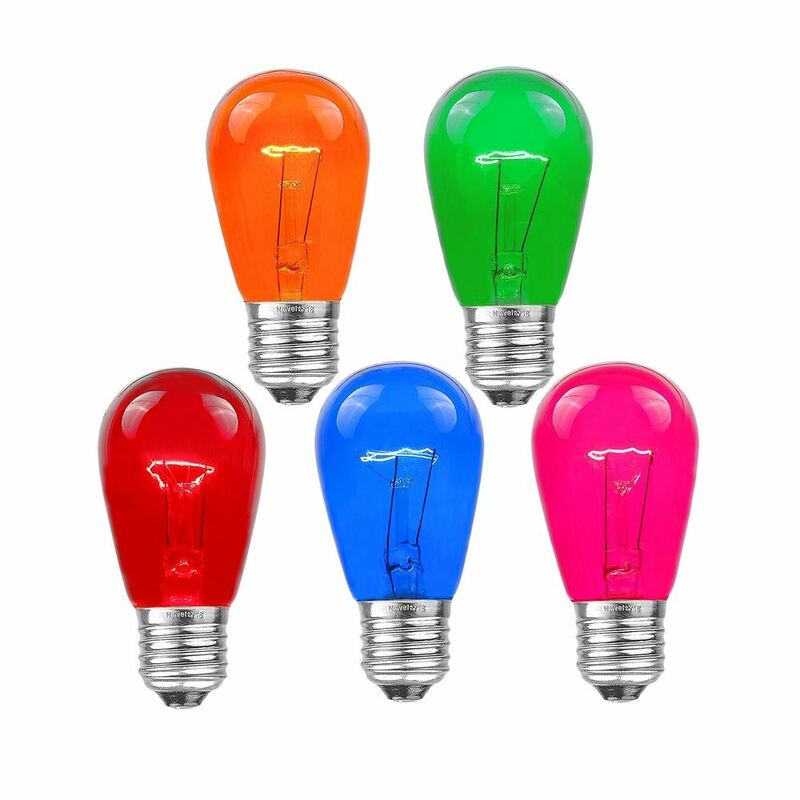 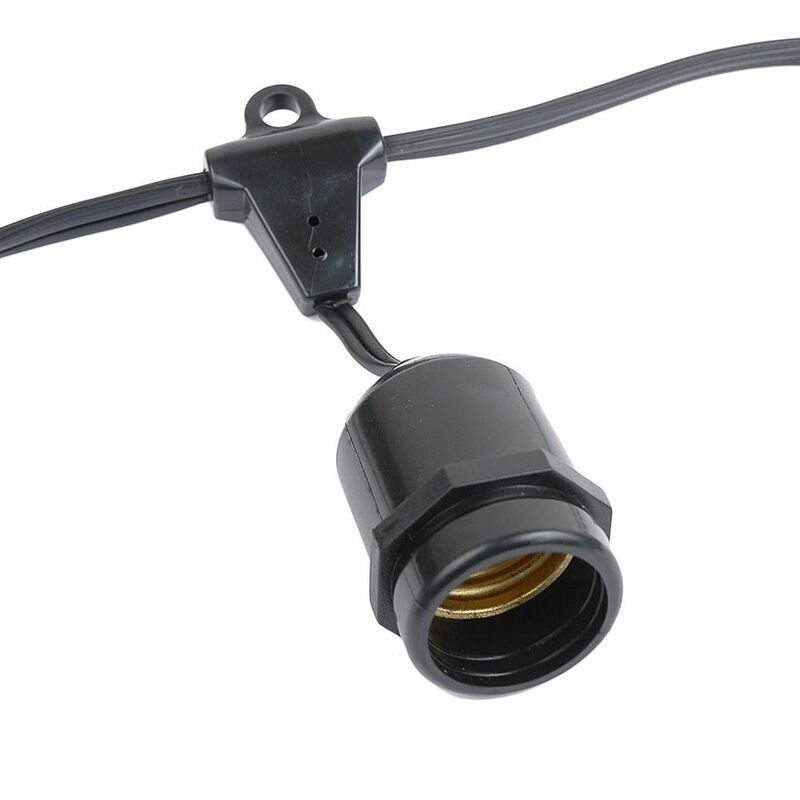 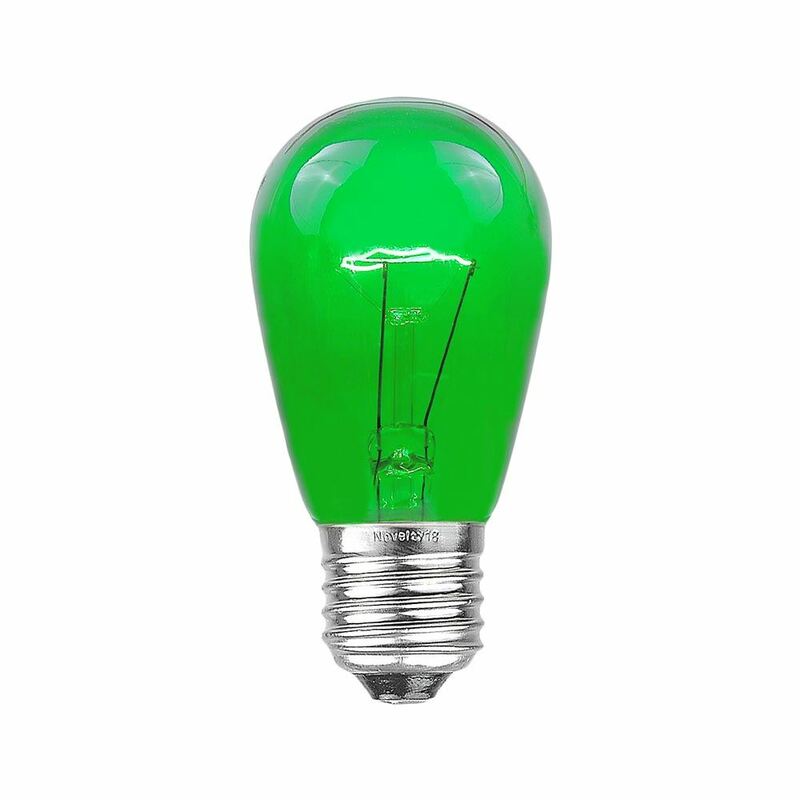 Our s14 commercial grade bulbs have a 6,000 hour bulb life provide long term illumination for indoor and outdoor use.